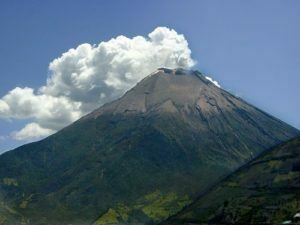 We went to Ecuador to visit our daughter Frances, who was there as part of her degree, and to climb volcanos. 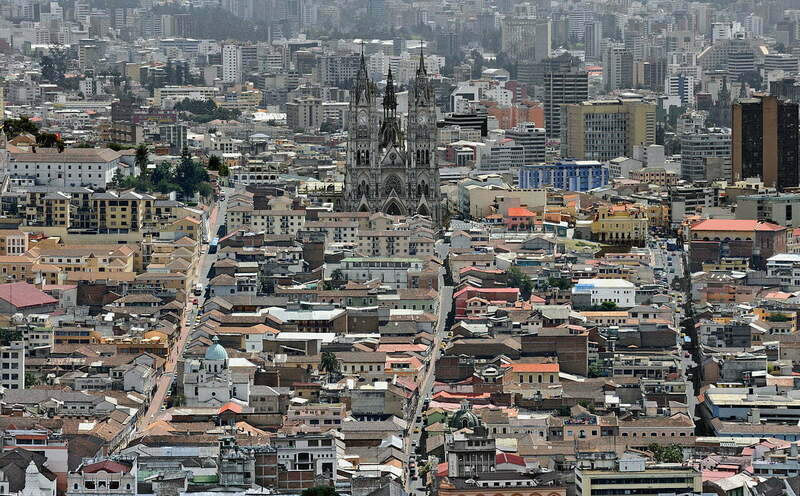 In Quito we stayed with Ecuadorian friends who introduced us to Ecuadorian culinary delights such as calf’s foot soup (good for hangovers), cow’s udder (like eating Pirelli tyre rubber) and guinea pig (like roast chicken on a spit). 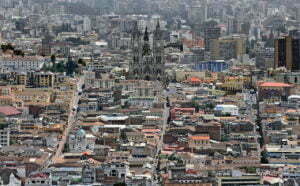 In Quito we visit the old town and see the statue of the Virgin of Quito is chained and standing on a snake. The joke amongst Quiteños is that directly below the monastry there was a street of prostitutes and the Virgin was chained so she wouldn’t go down and join them. 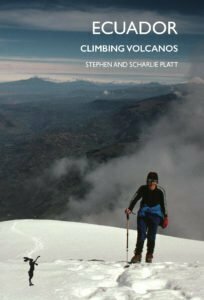 We planned to climb as many volcanos as we could, acclimatising slowly, starting from Loma Lumbisi at 3039 m and building up to Chimborazo at 6,268 m. Although not technically difficult they weren’t easy. There was rock scrambling on Carihaurazo and one had to take care not to trip on the steep snow and ice. 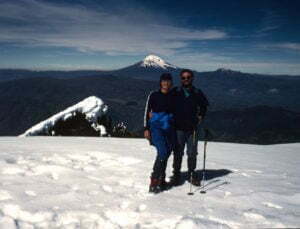 Although not good at altitude, Scharlie nevertheless climbed Cotopaxi, nearly 20,000 feet high. The account describes our struggles to cope with altitude sickness and to find foothold on the loose ash slopes. It describes our relations with my German friend Hans from Venezuela, whose slow, measured pace Steve found frustrating but whose rhythm suited Scharlie. Between climbs we relaxed and recovered in the hot thermal springs and rejuventing calm of the spa town of Baños and the jungle pools of Papallacta. 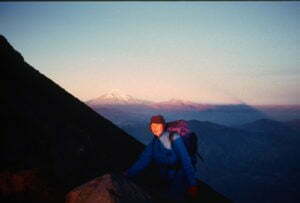 We climbed six volcanos in all, but failed on the biggest, Chimborazo. The reasons are still unclear to me nearly thirty years later.